We invite all dancers, of Ballet, Modern, Contemporary, Jazz, Hip-Hop, to participate. First place winners will perform at the SA Dance Fest 2018 Gala, with renowned international artists. May 4, 2018 (5:00PM), Due to the threat of rain, the Arts for All event will move from Travis Park to Pearl Stable, 307 Pearl Parkway, San Antonio 78215. The time of the event has also changed. All participants should arrive at 4:45 p.m.
May 5, 2018 (8:00PM), at the Carver Community Cultural Center. Ticket Available at the Carver Box Office or online at TicketMaster. May 6, 2018, at the Quenedit Ballet School. Quenedit Dance Theatre of San Antonio, Texas is a non-profit association with the mission to enrich lives through dance by providing out pre-professional company opportunities to develop as leaders and dancers, perform for audiences in local, national and international venues, and engage the San Antonio community through exposure of the Performing Arts. A Dance Fest 2018 is one of the events that is born through the foundation, to support its mission and to show the community the great diversity of quality dance styles. Inspire new generations, developing artists, and create a collective experience that showcases artists, choreographers, local, national, and international community educators. 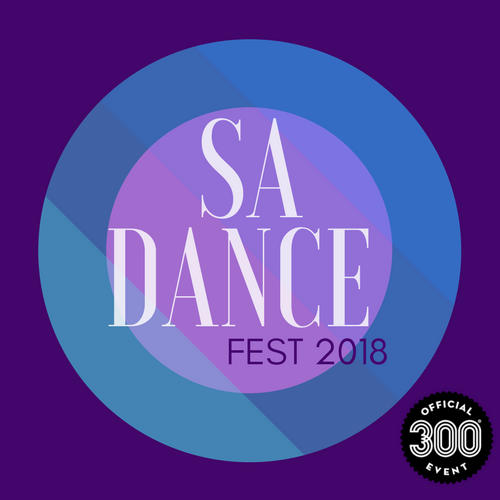 This year is exceptional as the city of San Antonio celebrates 300 years, and we are delighted that SA Dance Fest 2018 will participate in this grand celebration. The tricentennial anniversary of San Antonio is an opportunity to discover its shared cultural heritage, commemorate its legendary history, and collaborate in its brilliant future.